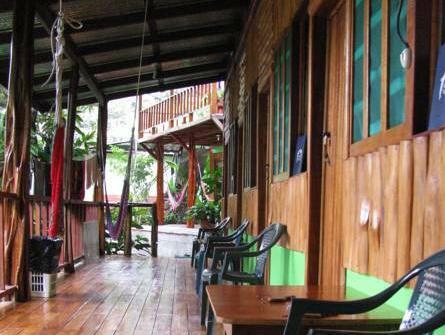 ﻿ Best Price on Cabinas Manolo in Drake Bay + Reviews! Located on Drake Bay, 1640 feet from the beach, and just 656 feet from town. Cabinas Manolo Drake Bay is surrounded by tropical gardens. Its rooms come with porches and garden or mountain views. Drake Bay and the surrounding area are ideal for whale and dolphin watching, fishing and kayaking. Guests receive discounts on snorkeling excursions to Caño Island, and on trips to Corcovado National Park. Each room at the Cabinas Manolo Drake Bay has simple décor and a private bathroom. All rooms feature a fan, mosquito net . There is a hammock on the porch. Wifi area only in common area as restaurant and reception The Manolo Drake’s restaurant serves a range of international cuisine and characteristic local dishes. Please note that there are no banks or ATMs near the property. Do not drive directly to Drake Bay in the months of September, October or November . Those months leave your car in Sierpe town and take the boat to Drake bay, For more pick up instructions contact property directly.